The release of the vintage clips, from the archive of the Greek War Museum, comes as Athens demands US$302 billion in war reparations. The Greek Ministry of Defense has published a video containing rare footage of the Nazi occupation of Greece during World War II. The release of the vintage clips, from the archive of the Greek War Museum, comes as Athens demands US$302 billion in war reparations, from the enforced loan the invaders imposed, and as compensation for the some 800,000 civilians deaths. The footage shows emaciated men, women and children, streets reduced to rubble, and conveys of Nazi motorbikes and tanks. “The agreement of 14 March 1942 foresaw that Greece paid to its occupiers 1.5 billion drachmas per month, a total of US$3.5 billion, according to the Dollar value of 1938. The current value of the enforced loan is 54 billion euro without the interest,” the video’s voice over says, explaining that this loan was to blame for the starvation of some 300,000 Greeks in the capital city alone. 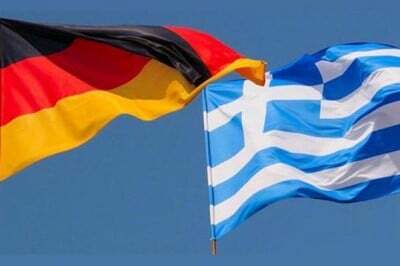 Last week, Germany’s economy minister called Greece’s demand for reparations “stupid,” even though Greek Defense Minister Panos Kammenos said his government had obtained “stunning evidence” to support its claim.